Thanks, Michael, for continuing to care about folks that have meant a lot to me and others, but have fallen out of public conscienceness: egs, PF Sloan, Will Birch, and Emmitt Rhodes (your interview with him was just extraordinary!). I also enjoy your shows on more established artists: Tom Petty (Zanes), Donald Dunn. Nice encore podcast in memory of Allen Toussaint. I've enjoyed many of your podcasts and just wanted to say thanks for many hours of listening enjoyment. Keep it coming with the "Worlds Greatest Music Experts" and two of my favorites the Spampinato Brothers. In a world where there is so much to choose from you are a #1 hit! If you have any interest in the music industry, it's history, or the colorful people that populate it this is the podcast for you. Michael interviews the movers and shakers, those that made a difference, some known some unkown all that made a mark in the industry. Those interviewed include names we know like Brian Wilson and Nick Lowe to ones we may not like Skip Pitts and Big Jim Sullivan. With a relaxed interview style and an incredible knowledge base Michael always gets the most out of his interviews. After more than 5 years of listening I'm a fan. I suggest you have a listen, I bet you become a fan too. Over the years Michael's well-researched and insightful weekly interviews with musicians, producers, and other music business people has become one of the most unique and impressive archives of it's kind. A great oral history unfolds here. You'll laugh, you'll cry, you'll learn stuff. A tremendous resource. So much pop music history! AND #1 HITS! Been a fan for several years. Michael gets the folks who were there either making history or witnessing it. And the experts panels are a treat, all the smartest folks who know so many bits of history. Michael does his homework, no softball questions. Sometimes the interviewees get more than a little colorful, always fun to hear Michael bring the conversation back on track. Don't miss it! Great interviews, Michael gets interesting guests. His radio show is fantastic also. Excellent informative interviews and great features like The World's Greatest Music Experts make this one of the best podcasts out there. This podcast covers the history of music - but also the history of the everything. Great guests interviewed in a format that doesnt stick to a publicicst's script & allows the conversation to flow into unexpected areas. Unique! This is essential listening for any musician or music fan ! I've been listening to Michael's podcast for about four months now, and it's wornderful. I've learned a ton and his choice of artists to interview is fascinating. I especially loved the World's Greatest Music Experts panel episode! Keep up the GREAT work! I'm donating during the fundraiser. 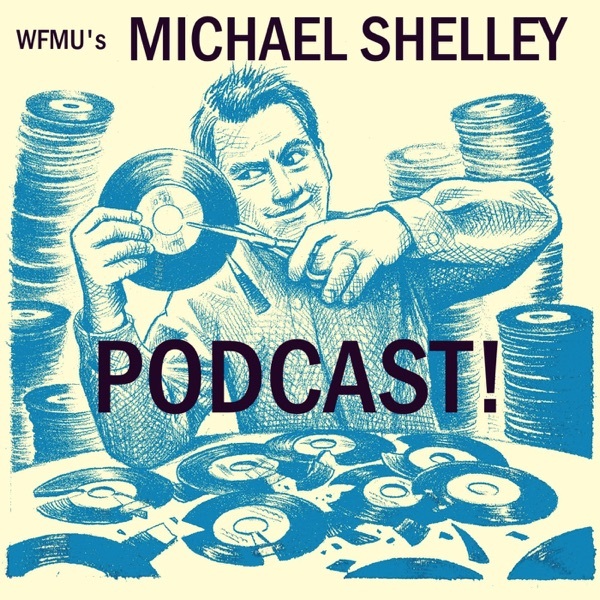 If you love music.... Michael Shelley is like the Charlie Rose for the musically obsessed. He is brimming with charm, enthusiasm and encyclopedic knowledge and his guests are top notch...every single show is a delight. I don't know what else to say.. I love this show. Download this show. Michael interviews the classic artists and shares insites into their music. His questions are thoughtful and provoking and I always learn something new about the music and the times.